This is an old pewter cup that I had in my studio and a spool of red thread. I had used this cup in a painting a few days ago and I decided to paint it again and pair it with something of bright color to contrast with the grayish colors of the cup. 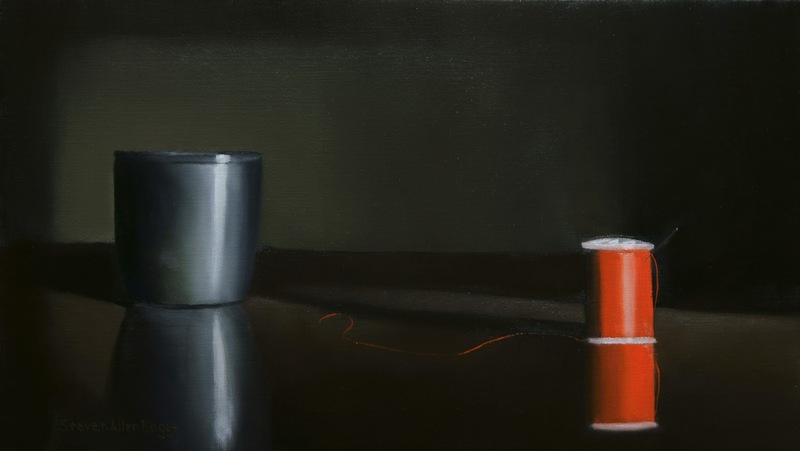 The idea hit me to use thread as the second object in the painting and to try to tie the two objects together with the long shadow and the thin red thread that I unwound from the spool. For me this is an interesting composition. I hope that you enjoy it!